Wheel Woolies rock! 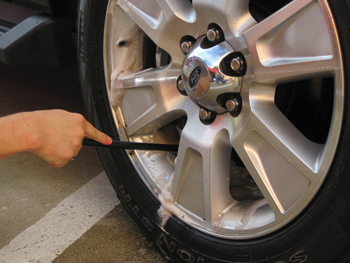 We hear that from our customers often and for good reason – Wheel Woolies have gained a reputation among professional detailers and car care enthusiasts as being the go-to brushes for rigorous, heavy-duty wheel cleaning. 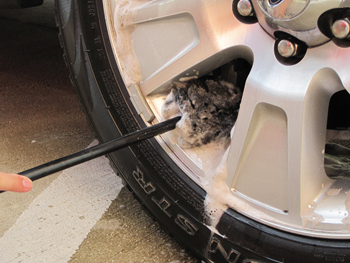 When other wheel brushes simply won’t cut it, Wheel Woolies and their unique construction have what it takes to remove stubborn brake dust and road grime. Wheel Woolies are available in various shapes, sizes and lengths and they are proudly manufactured in the USA. Wheel Woolies are simple in their construction, yet ingeniously designed. The original Wheel Woolies and the Wheel Woolies Spoke Wheel Brushes are constructed of super soft, densely packed fibers that remove stubborn brake dust and road grime with virtually no effort. This brake-dust-removing head is attached to a long, flexible polypropylene handle that keeps your hands away from the wheels as you clean. The most recent addition to the Wheel Woolies line of detailing tools is the Boar’s Hair Detail Brush – available in 1 inch and 1¼ inch sizes. The Boar’s Hair Detail Brush gives you the precision needed to clean all the nooks and crannies on your vehicle. No longer will you struggle to clean brake calipers, in between emblems, and other hard-to-reach, delicate areas. Genuine boar’s hair bristles ensure no surface, including paint, gets scratched or marred in the process. If you’re fanatical about cleaning every nook and cranny on your vehicle, pick up one of many Wheel Woolie detailing tools and start working smart, and not hard. Wheel Woolies Car Detailing Brushes are proudly manufactured in the USA.